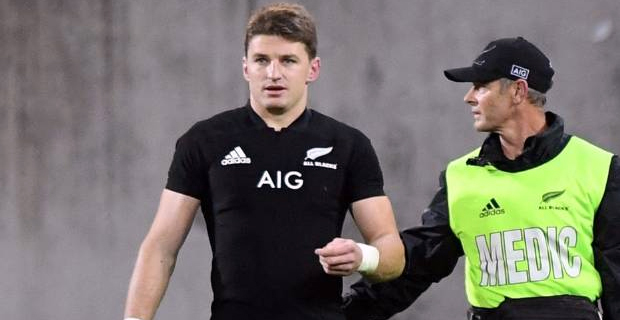 Beauden Barrett’s performance in the Bledisloe Cup has earned him a spot in World Rugby's ‘Team of the Rugby Championship’. Barrett had earlier been criticized by some Kiwi critics for not displaying a standard first five‑eighth performance in two encounters with the Springboks, but he still made Planet Rugby's All‑Star team alongside eight All Blacks teammates. Rookie loosehead prop Karl Tu'inukuafe was the selection bolter in his first year of All Blacks rugby. He joined pack mates Kieran Read, Brodie Retallick and Owen Franks and backs Barrett, Ryan Crotty, Jack Goodhue, Rieko Ioane and Ben Smith. Planet Rugby had stated that Barrett's "place was questioned before the tournament but he answered the critics superbly with two stunning displays in the Bledisloe Cup. Meanwhile, All Blacks will take on Australia on the 27th of this month at 6pm in Japan in their final Bledisloe Cup Test.